Earn 25 cents off per gallon with every $50 purchase! This Friday & Saturday only. Shop for groceries, flowers, bakery and more. Use promo code WELCOME, get 10% off your first grocery order. One-stop savings for hundreds of Hy-Vee deals. Stop and Smell the Freshness! Start off spring with this SCENTsational deal! Receive a $10 reward when you stock up on Gain products. Lots of leftover ham? With these recipes, that's a good problem. Coke Meal MakersDelicious and simple everyday meal solutions, at a great price. Market Grille Seasonal MenuJoin us to try our variety of seasonal menu items. Spring It On!Shop our spring cleaning essentials. Sign up to receive all of our ads right to your home! 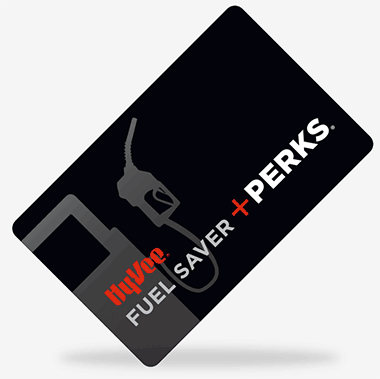 on fuel with their perks card. Scan your Fuel Saver barcode right from your phone to earn or redeem rewards. Plus get exclusive app-only deals and more!